The publication is the fifth volume in the series Compostela International Studies in Pilgrimage History and Culture, published by Routledge. 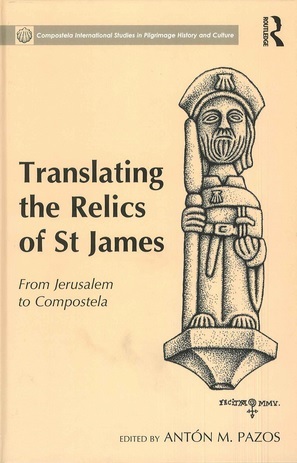 It focuses on analysing the translatio of the remains of St. James the Apostle, son of Zebedee, from Palestine to Santiago de Compostela, and its impact on the historical and symbolic construction of the phenomenon of Jacobean pilgrimages. The eleven participating authors examine the subject from an interdisciplinary perspective, taking a historical, archaeological and iconographic approach. The book also falls under the line of research into pilgrimages undertaken by the Padre Sarmiento Institute of Galician Studies, through the Cultures and societies in the Iberian world from the Middle Ages group, and more specifically, the research project Pilgrimages to Santiago de Compostela in Spain during the second half of the 19th century, financed by the Ministry of Economy, Industry and Competitiveness, through the National Programme for Fostering Excellence in Scientific and Technical Research.